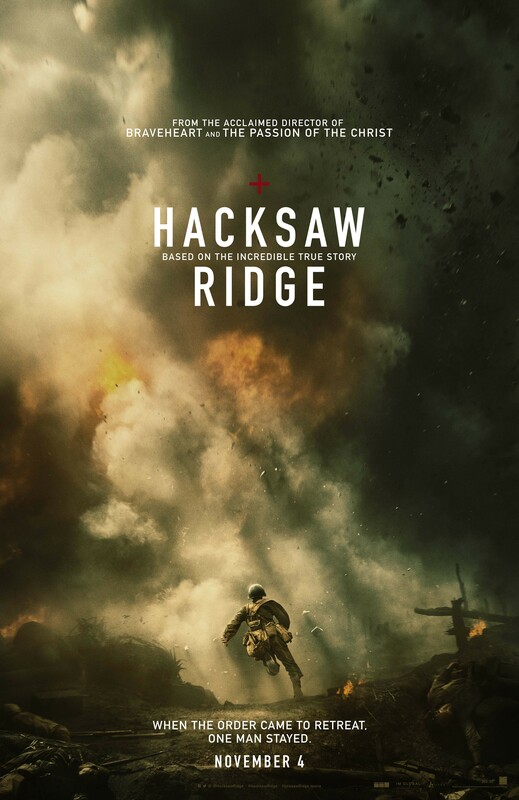 Synopsis: Telling the incredible true story of Desmond Doss, a Devout Christian who signs up for the US Army and serves as a medic in the heart of World War II, all while refusing to carry a gun. Review: For many of us, the horrors of war are something we are all too familiar with. From learning about terrible wars of the past to the brutal wars of the present, war is rarely anything other than a very dark time for humanity. Yet undoubtedly in such dark times, acts of incredible bravery and selflessness are committed, and for director Mel Gibson, the telling of one remarkable true story is in many ways his redemption, and a superb return to form for a man who it would be fair to say had something of a fall from grace, never being too far away from controversy. Yet, despite all that controversy, Gibson has come out fighting with his first stint in the director’s chair after directing 2006’s Apocalypto. 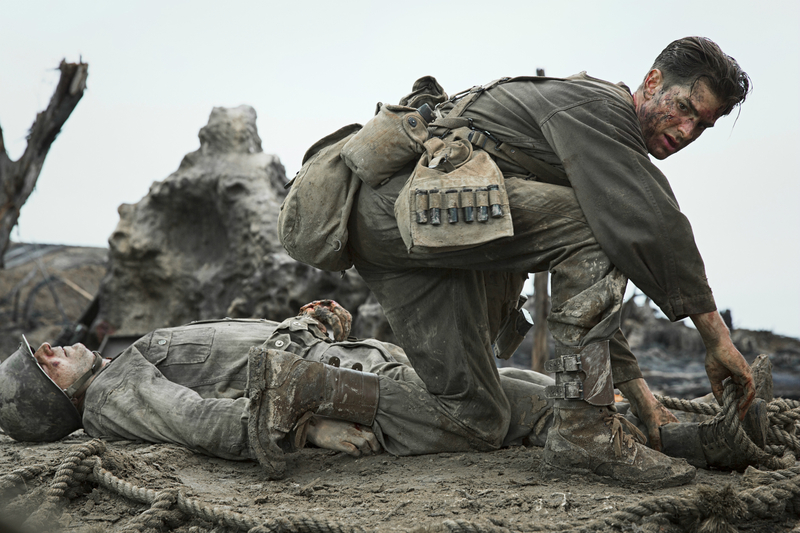 Set in the heart of Japan in 1945, the USA is battling the Japanese at the Battle of Okinawa and after some troubling times with his training Desmond Doss enters the fray of war, and never fires a single shot or carries a gun. It seems such a ludicrous decision to enter the hell of war without anything to protect yourself but the screenplay, penned by Andrew Knight and Robert Schenkkan helps you understand where Doss is coming from, he’s a man who resolutely sticks to his principles. His superhero days may be behind him, but with this performance and his sterling work in Silence, Garfield is showing himself to be a tremendous actor and his performance is extremely powerful, ensuring a well earned Oscar nomination as well. Garfield is the leading light of an extremely well polished cast, that includes Hugo Weaving as Doss’s alcoholic father who witnessed the devastation of World War I and is loathed to lose his sons to the horror of warfare. Teresa Palmer is equally excellent as Doss’s love interest Dorothy. The scenes between the two could have been a real stumbling block and detriment to the plot, but the chemistry between Garfield and Palmer is superb and their romance is far from a hindrance, instead adding real depth to Doss’s character. Vince Vaughn also turns in an excellent performance as Doss’s stern Sergeant who certainly does his best to add the humour while all of the recruits undergo some intense army training. At the same time, all the new recruits look down on Doss for his beliefs, and make his life a hell on Earth, and this is before they are even in reach of the war zone. For Gibson, a nomination for Best Director might have seemed far-fetched but his work here is extremely deserving of a nomination. He helms the film superbly well, the action is extremely tense to watch and the work that he achieves, along with his sound team, fully capture what it must be like to be in the middle of a war zone. The film’s editing also helps add to the gritty realism. The violence is not glorified in the slightest, it’s just very frighteningly realistic. Be under no doubt, this is not a film for the squeamish, the bullets fly by their thousands and the blood and guts flow. Yet through all of this, the film shows to the audience that it can really pay to stick by your principles, even if everyone is trying to belittle you for holding on to those beliefs. Though this is for all for all intents and purposes a war film, the themes of anti-war and pacifism are strong, as well as being true to one’s beliefs, and the themes and messages that the film conveys should hit home with the audience and leave a lasting impression on them. War certainly is hell, but the actions of brave men like Desmond Doss should and will hopefully never be forgotten. Furthermore, they can serve as a great lesson for all, of the true valour of bravery and heroism, even in the most desperate and hopeless of situations. An explosive, and quite brilliant return to the director’s chair for Gibson, with Garfield giving arguably the performance of his career, and just maybe the best war movie of the 2010s thus far.